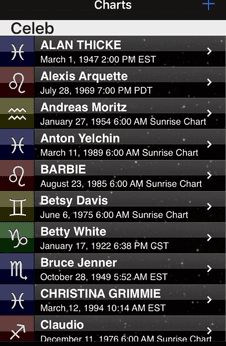 Time Passages is an app from AstroGraph Software that is for Apple products to download from iTunes. 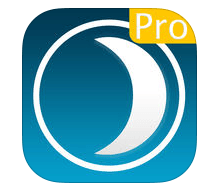 There is a free version and a paid one that is known as Pro for $30. I started out with the free version for a few years utilizing it on my iPod iTouch. An exciting time for parents is when their newborn arrives. They document the time of birth, date, and stats of their baby. 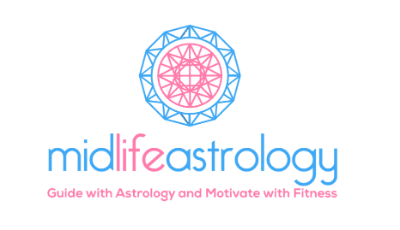 This is a great learning tool to gain further insights into astrological charts. I have listed a few babies when I come across someone posting a newborn picture. When a birth time is unknown there is the option for a sunrise chart. You can go in and edit charts as well. A picture can be taken to add for the person or selected from your library, otherwise their sun sign glyph will be the photo. Chart, daily horoscope, transits, Secondary Progressions, Solar Arc Progressions, Compare Charts, Sun sign, Moon sign and Rising sign. I have learned so much over the years by using this mobile app version of their software. The best part is that you do NOT need to have an internet connection to get transits or put up a chart. This is a capture of some of the celebrity charts I have on my mobile device. The other picture is of my own chart page on the app.